theologians during the creation of their monotheistic fraud. the spelling of Tolstoy’s name to the way it is most used nowadays. What is then this science? Is it biology, or the study of life in its general aspect? No. Is it physiology, or the science of organic function? Neither; for the former leaves the problem as much the riddle of the Sphinx as ever; and the latter is the science of death far more than that of life. Physiology is based upon the study of the different organic functions and the organs necessary to the manifestation of life, but that which science calls living matter, is, in sober truth, dead matter. Every molecule of the living organs contains the germ of death in itself, and begins dying as soon as born, in order that its successor-molecule should live only to die in its turn. An organ, a natural part of every living being, is but the medium for some special function in life, and is a combination of such molecules. The vital organ, the whole, puts the mask of life on, and thus conceals the constant decay and death of its parts. Thus, neither biology nor physiology are the science, nor even branches of the Science of Life, but only that of the appearances of life. While true philosophy stands Oedipus-like before the Sphinx of life, hardly daring to utter the paradox contained in the answer to the riddle propounded, materialistic science, as arrogant as ever, never doubting its own wisdom for one moment, biologises itself and many others into the belief that it has solved the awful problem of existence. In truth, however, has it even so much as approached its threshold? It is not, surely, by attempting to deceive itself and the unwary in saying that life is but the result of molecular complexity that it can ever hope to promote the truth. Is vital force, indeed, only a “phantom”, as Du-Bois Reymond calls it? For his taunt that “life”, as something independent, is but the asylum ignorantiae of those who seek refuge in abstractions, when direct explanation is impossible, applies with far more force and justice to those materialists who would blind people to the reality of facts, by substituting bombast and jaw-breaking words in their place. Have any of the five divisions of the functions of life, so pretentiously named – Archebiosis, Biocrosis, Biodiaeresis, Biocaenosis and Bioparodosis , ever helped a Huxley or a Haeckel to probe more fully the mystery of the generations of the humblest ant – let alone of man? Most certainly not. For life, and everything pertaining to it, belongs to the lawful domain of the metaphysician and psychologist, and physical science has no claim upon it. “That which hath been, is that which shall be; and that which hath been is named already – and it is known that it is MAN” – is the answer to the riddle of the Sphinx. But “man” here, does not refer to physical man – not in its esoteric meaning, at any rate. Scalpels and microscopes may solve the mystery of the material parts of the shell of man: they can never cut a window into his soul to open the smallest vista on any of the wider horizons of being. It is those thinkers alone, who, following the Delphic injunction, have cognized life in their inner selves, those who have studied it thoroughly in themselves, before attempting to trace and analyze its reflection in their outer shells, who are the only ones rewarded with some measure of success. Like the fire-philosophers of the Middle Ages, they have skipped over the appearances of light and fire in the world of effects, and centred their whole attention upon the producing arcane agencies. Thence, tracing these to the one abstract cause, they have attempted to fathom the MYSTERY, each as far as his intellectual capacities permitted him. Thus they have ascertained that (1) the seemingly living mechanism called physical man is but the fuel, the material, upon which life feeds, in order to manifest itself; and (2) that thereby the inner man receives as his wage and reward the possibility of accumulating additional experiences of the terrestrial illusions called lives. One of such philosophers is now undeniably the great Russian novelist and reformer, Count Leo N. Tolstoy. How near his views are to the esoteric and philosophical teachings of higher Theosophy, will be found on the perusal of a few fragments from a lecture delivered by him at Moscow before the local Psychological Society. Yet, it is precisely this question which is the one fundamental question of the central idea of life. Science has chosen as its object a few manifestations that accompany life; and mistaking  the part for the whole, called these manifestations the integral total of life . . . . . . . The question inseparable of the idea of life is not whence life, but how one should live that life: and it is only by first starting with this question that one can hope to approach some solution in the problem of existence. The answer to the query “How are we to live?” appears so simple to man that he esteems it hardly worth his while to touch upon it. . . . . . . One must live the best way one can – that’s all. This seems at first sight very simple and well known to all, but it is by far neither as simple nor as well known as one may imagine. . . . . . . The idea of life appears to man in the beginning as a most simple and self-evident business. First of all, it seems to him, that life is in himself, in his own body. No sooner, however, does one commence his search after that life, in any one given spot of the said body, than one meets with difficulties. Life is not in the hair, nor in the nails; neither is it in the foot nor the arm, which may both be amputated; it is not in the blood, it is not in the heart, and it is not in the brain. It is everywhere and it is nowhere. It comes to this: life cannot be found in any of its dwelling-places. Then man begins to look for life in Time; and that, too, appears at first a very easy matter. . . . . . Yet again, no sooner has he started on his chase than he perceives that here also the business is more complicated than he had thought. Now, I have lived fifty-eight years  , so says my baptismal church record. But I know that out of these fifty-eight years I slept over twenty. How then? Have I lived all these years, or have I not? Deduct the months of my gestation, and those I passed in the arms of my nurse, and shall we call this life, also? Again, out of the remaining thirty-eight years, I know that a good half of that time I slept while moving about; and thus, I could no more say in this case, whether I lived during that time or not. I may have lived a little, and vegetate a little. Here again, one finds that in time, as in the body, life is everywhere, yet nowhere. And now the question naturally arises, whence, then, that life which I can trace to nowhere? Now – will I learn . . . . . . But it so happens that in this direction also, what seemed to me so easy at first, now seems impossible. I must have been searching for something else, not for my life, assuredly. Therefore, once we have to go in search of the whereabouts of life – if search we have to – then it should be neither in space nor in time, neither as cause nor effect, but as a something which I cognize within myself as quite independent from Space, time and causality. Meanwhile, something else is bound up with this knowledge in me of my existence. Inseparable from the life I feel, is another cognition allied to it; namely, that besides myself, I am surrounded with a whole world of living creatures, possessed, as I am myself, of the same instinctive realization of their exclusive lives; that all these creatures live for their own objects, which objects are foreign to me; that those creatures do not know, nor do they care to know, anything of my pretensions to an exclusive life, and that all these creatures, in order to achieve success in their objects, are ready to annihilate me at any moment. But it is not all. While watching the destruction of creatures similar in all to myself, I also know that for me too, for that precious ME in whom alone life is represented, a very speedy and inevitable destruction is lying in wait. It is as if there were two “I”s in man; it is as if they could never live in peace together; it is as if they were eternally struggling, and ever trying to expel each other. Still worse! Life becomes still more dreadful. . . . . . This is the worst of all. . . . . .
To change this condition is impossible. . . . . . One can avoid moving, sleeping, eating, even breathing, but one cannot escape from thinking. One thinks, and that thought, my thought, is poisoning every step in my life, as a personality. No sooner has man commenced a conscious life than that consciousness repeats to him incessantly without respite, over and over the same thing again. “To live such life as you feel and see in your past, the life lived by animals and many men too, lived in that way, which made you become what you are now – is no longer possible. Were you to attempt doing so, you could never escape thereby the struggle with all the world of creatures which live as you do – for their personal objects; and then those creatures will inevitably destroy you.” . . . . . .
To change this situation is impossible. There remains but one thing to do, and that is always done by him who, beginning to live, transfers his objects in life outside of himself, and aims to reach them. . . . . . . But, however far he places them outside his personality, as his mind gets clearer, none of these objects will satisfy him. Bismarck, having united Germany, and now ruling Europe – if his reason has only thrown any light upon the results of his activity – must perceive, as much as his own cook does who prepares a dinner that will be devoured in an hour’s time, the same unsolved contradiction between the vanity and foolishness of all he has done, and the eternity and reasonableness of that which exists for ever. If they only think of it, each will see as clearly as the other; firstly, that the preservation of the integrity of Prince Bismarck’s dinner, as well as that of powerful Germany, is solely due: the preservation of the former – to the police, and the preservation of the latter – to the army; and that, so long only as both keep a good watch. Because there are famished people who would willingly eat the dinner, and nations which would fain be as powerful as Germany. Secondly, that neither Prince Bismarck’s dinner, nor the might of the German Empire, coincide with the aims and purposes of universal life, but that they are in flagrant contradiction with them. And thirdly, that as he who cooked the dinner, so also the might of Germany, will both very soon die, and that so shall perish, and as soon, both the dinner and Germany. That which shall survive alone is the Universe, which will never give one thought to either dinner or Germany, least of all to those who have cooked them. As the intellectual condition of man increases, he comes to the idea that no happiness connected with his personality is an achievement, but only a necessity. Personality is only that incipient state from which begins life, and the ultimate limit of life. . . . . . .
Where, then, does life begin, and where does it end, it may be asked? Where ends the night, and where does day commence? Where, on the shore, ends the domain of the sea, and where does the domain of land begin? Our life, ever since we become conscious of it, is a pendulum, like motion between two limits. One limit is, an absolute unconcern for the life of the infinite Universe, an energy directed only toward the gratification of one’s own personality. The nearer to the first limit, the less life and bliss, the closer to the second, the more life and bliss. Therefore, man is ever moving from one end to the other; i.e. he lives. THIS MOTION IS LIFE ITSELF. And when I speak of life, know that the idea of it is indissolubly connected in my conceptions with that of conscious life. No other life is known to me except conscious life, nor can it be known to anyone else. What is conscious mind? Whatsoever we may be defining, we have to define it with our conscious mind. Therefore, with what shall we define mind? . . . . . . . If we have to define all with our mind, it follows that conscious mind cannot be defined. Yet all of us, we not only know it, but it is the only thing which is given to us to know undeniably. . . . . . . It is the same law as the law of life, of everything organic, animal or vegetable, with that one difference that we see the consummation of an intelligent law in the life of a plant. But the law of conscious mind, to which we are subjected as the tree, is subjected to its law, we see it not. But fulfill it. . . . . . .
We have settled that life is that which is not our life. It is herein that lies hidden the root of error. Instead of studying that life of which we are conscious within ourselves, absolutely and exclusively – since we can know of nothing else – in order to study it, we observe that which is devoid of the most important factor and faculty of our life, namely, intelligent consciousness. By so doing, we act as a man who attempts to study an object by its shadow or reflection does. If we know that substantial particles are subjected during their transformations to the activity of the organism; we know it not because we have observed or studied it, but simply because we possess a certain familiar organism united to us, namely the organism of our animal, which is but too well known to us as the material of our life, i.e. that upon which we are called to work and to rule by subjecting it to the law of reason. . . . . . No sooner has man lost faith in life, no sooner has he transferred that life into that which is no life, than he becomes wretched, and sees death. . . . . . A man who conceives life such as he finds it in his consciousness, knows neither misery, nor death: for all the good in life for him is in the subjection of his animal to the law of reason, to do which is not only his power, but takes place unavoidably in him. The death of particles in the animal being, we know. The death of animals and of man, as an animal, we know; but we know nought about the death of conscious mind, nor can we know anything of it, just because that conscious mind is the very life itself. And Life can never be Death. . . . . . . The life of man is an aspiration to bliss, and that which he aspires to is given to him. The light lit in the soul of man is bliss and life, and that light can never be darkness, as there exists – verily there exists for man – only this solitary light which burns within his soul. 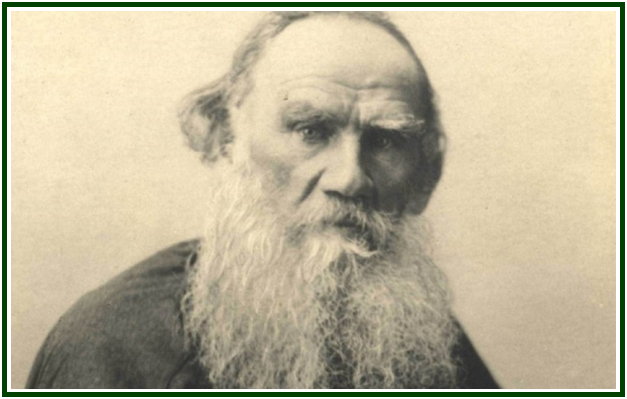 We have translated this rather lengthy fragment from the Report of Count Tolstoy’s superb lecture, because it reads like the echo of the finest teachings of the universal ethics of true theosophy. His definition of life in its abstract sense, and of the life every earnest theosophist ought to follow, each according to, and in the measure of his natural capacities – is the summary and the Alpha and the Omega of practical psychic, if not spiritual life. There are sentences in the lecture which, to the average theosophist will seem too hazy, and perhaps incomplete. Not one will he find, however, which could be objected to by the most exacting, practical occultist. It may be called a treatise on the Alchemy of Soul. For that “solitary” light in man, which burns forever, and can never be darkness in its intrinsic nature, though the “animal” outside us may remain blind to it – is that “Light” upon which the Neo Platonists of the Alexandrian school, and after them the Rosecroix and especially the Alchemists, have written volumes, though to the present day their true meaning is a dark mystery to most men. True, Count Tolstoy is neither an Alexandrian nor a modern theosophist; still less is he a Rosecroix or an Alchemist. But that which the latter have concealed under the peculiar phraseology of the Fire-philosophers, purposely confusing cosmic transmutations with Spiritual Alchemy, all that is transferred by the great Russian thinker from the realm of the metaphysical unto the field of practical life. That which Schelling would define as a realization of the identity of subject and object in the man’s inner Ego, that which unites and blends the latter with the universal Soul – which is but the identity of subject and object on a higher plane, or the unknown Deity – all that Count Tolstoy has blended together without quitting the terrestrial plane. He is one of those few elect who begin with intuition and end with quasi-omniscience. It is the transmutations of the baser metals – the animal mass – into gold and silver, or the philosopher’s stone, the development and manifestation of man’s higher SELF which the Count has achieved The alcahest of the inferior Alchemist is the All-geist, the all-pervading Divine Spirit of the higher Initiate; for Alchemy, was, and is, as very few know to this day, as much a spiritual philosophy as it is a physical science. He who knows nought of one, will never know much of the other. Aristotle told it in so many words to his pupil, Alexander: “It is not a stone”, he said, of the philosopher’s stone. “It is in every man and in every place, and at all seasons, and is called the end of all philosophers”, as the Vedanta is the end of all philosophies. This is “the Alcahest which dissolves all things,” and Count Tolstoy has well understood the riddle. (Note by HPB) “Mistaking” is an erroneous term to use. The men of science know but too well that what they teach concerning life is a materialistic fiction contradicted at every step by logic and fact. In this particular question science is abused, and made to serve personal hobbies and a determined policy of crushing in humanity every spiritual aspiration and thought. “Pretending to mistake” would be more correct. (Note by HPB) This is what the Theosophists call “living the life” – in a nutshell.